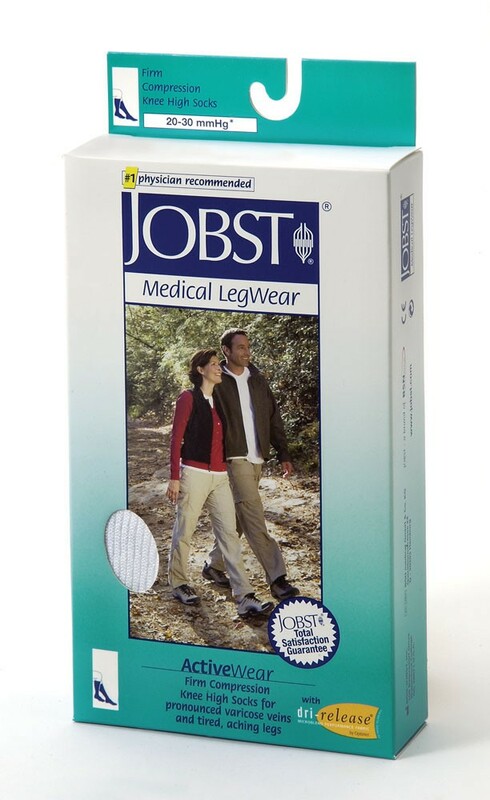 Jobst ActiveWear 20-30 mmHg Firm Support Unisex Athletic Knee Highs are athletic Compression Stockings that are designed to apply a moderate level of compression. Compression therapy can be used to treat chronic venous insufficiency, swelling and varicose veins. 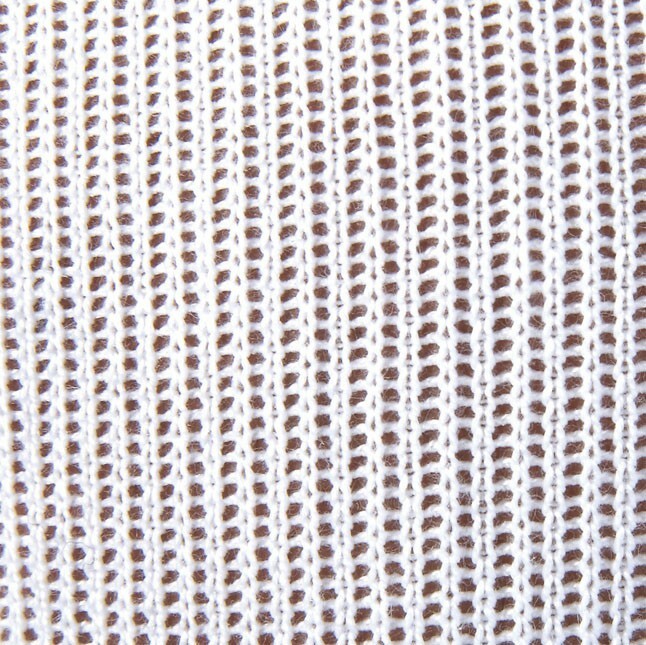 Activewear Support Socks are unique, because they integrate features, such as, a cushioned foot area and comfortable knee bands. Jobst Activewear Compression Socks can be worn all day and during physical activity without discomfort. Activewear Compression Stockings feature a seamless to, to prevent irritation in sensitive toes, as well as, a blend of fabrics that incorporate Dri-Release yarn. These Compression Stockings are ideal for regulating moisture in the feet during activity and exercise. This Activewear Compression Sock is made from a comfortable blend of polyester, nylon, cotton, and spandex that will stretch and conform to most legs. 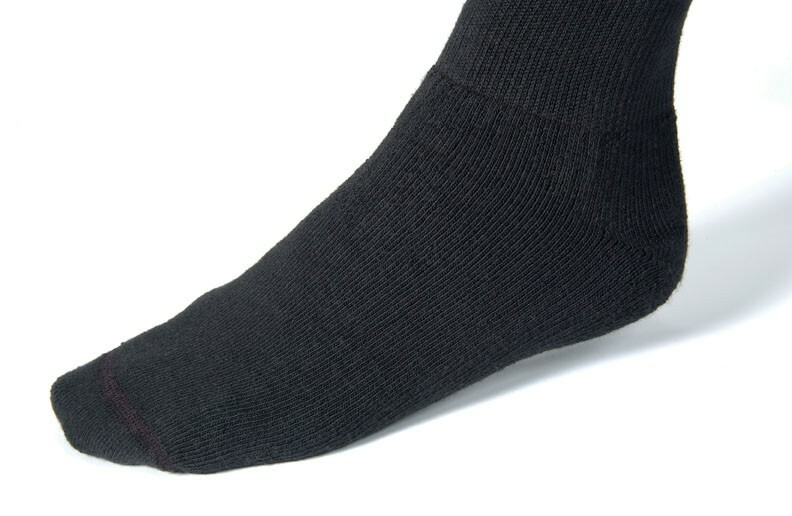 These Athletic Compression Socks are latex free, so they are suitable for most people who require compression. Jobst product numbers: 110489, 110490, 110491, 110492, 110493, 110494, 110495, 110496. The Jobst Stockings that I purchased from Vitality are the most comfortable and durable compression stockings that I have worn since the doctor prescribed them for me a couple of years ago. I highly recommend them.